Sauté diced onion, jalapeno, and minced garlic in oil until soft. Add turkey and cook turkey until brown. Add some chili pepper, cumin, and salt. Add crushed tomatoes and bring to a boil. Add more spices. Add black beans and pinto beans and bring from a boil to low heat. Add more spices; simmer on low heat for 30 minutes. Serve hot with cheese, sour cream, and/or scallions. Bon appetit! In medium bowl, stir to combine yogurt, olive oil, lemon juice and honey. Dice onion, cucumber and strawberry. Paste garlic. Combine all with yogurt mixture. Season with salt and pepper. ∗Optional toppings: red onion, avocado, cheese, sour cream, Greek yogurt, tortillas, etc. 1. In a medium sauce pan, cook quinoa with bone broth- set aside. 2. In a large pot, preferably dutch oven, heat the avocado oil over high heat. Add onion, garlic, jalapeño, carrot, celery, peppers, and zucchini. Add a generous pinch of salt and pepper. 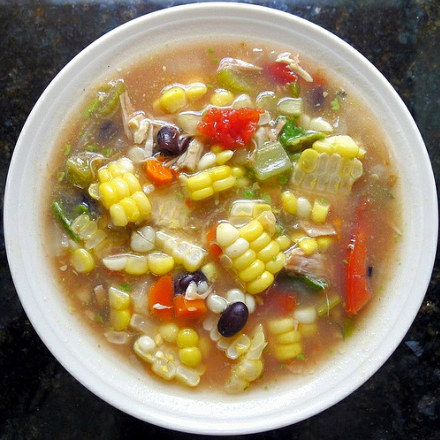 Cook until vegetables are softened, stirring occasionally. 3. Add the beans, tomatoes, green chilies, and tomato sauce. Mix in the cooked quinoa. Season with chili powder, cumin, salt, and black pepper. Simmer chili on low, stirring occasionally, for about 30 minutes or until everyone is warm and tender. Add more bone broth if too thick. 4. Turn off heat and stir in cilantro leaves and lime juice. Taste, season if needed. 5. Garnish chili with toppings before serving. 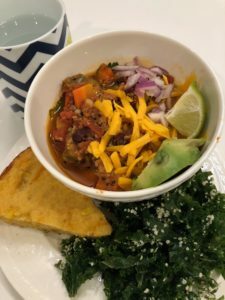 *Notes: This chili freezes well- great for meal prep! *Crock-Pot friendly! Add uncooked quinoa and 1/2 bone broth to slow-cooker along with rest of ingredients. *”Chopped” means bite-sized, but it is entirely your preference. However, be mindful that vegetables chopped smaller will cook faster than those that are larger. 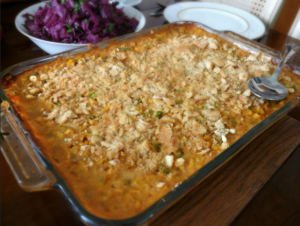 We’d like to thank Chef Melissa for her wondrous and delicious recipe! 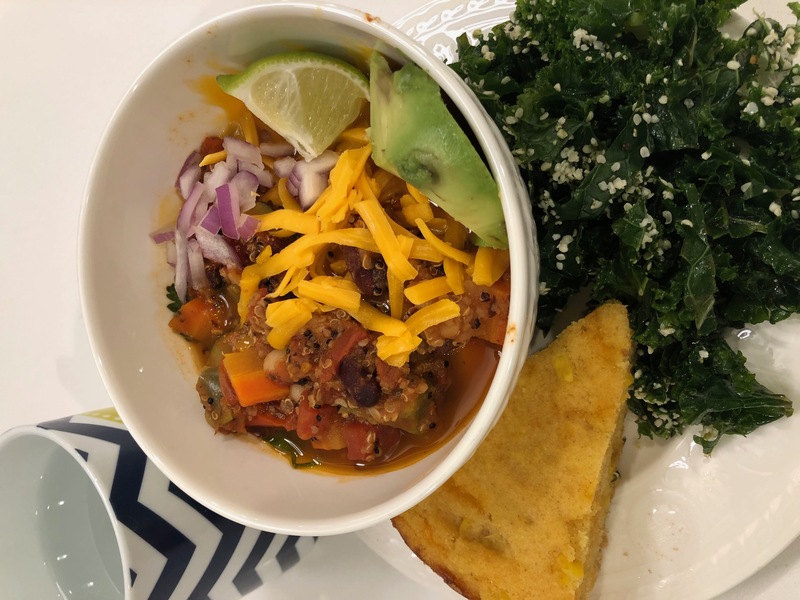 We wanted to share a recipe with you that was made at the Dishing with the MediaHarvest Celebrations Event. They featured some delicious recipes including Carrot Curry Kale Chips and Lemon Seed and Pepper Crusted Grilled Pork. 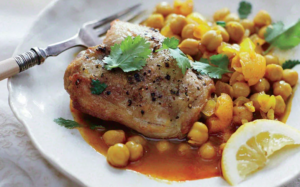 With summer right around the corner, we thought it would be great to share this Bold and Fruity Chicken Tangine recipe to get your mouths’ watering for the tasty food summer has to offer! Was one of your New Years Resolutions to have more family dinners? If so, we have a delicious recipe for you to try! Get the kids involved in the prep work and enjoy a nice sit-down dinner with your family with this tasty Chipotle-Glazed Roasted Chicken recipe. 1. Preheat the oven to 400 degrees. In a medium bowl, toss the squash in the olive oil and scatter on the bottom of a roasting pan. Roast for 25 minutes. 3. Place the chicken breasts on top of the squash and roast until the chicken is just cooked through, about 25 to 30 minutes. Serve garnished with cilantro if desired. Relish the end of eggplant season with this delicious side dish. It makes a great addition to holiday meals and is simple to make! 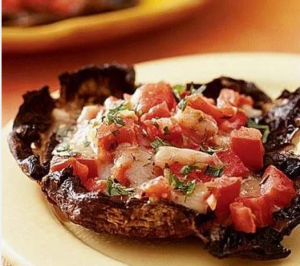 In a large bowl, toss eggplant slices, olive oil and salt. Bake at 350 degrees for 25-30 minutes. Meanwhile, combine marinade ingredients in a small bowl and whisk. Remove eggplant from oven and allow to cool. 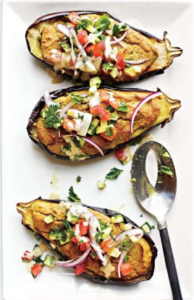 Toss poured marinade and eggplant slices into a sealed container and allow to marinate overnight. Serve cold or at room temperature. Looking for more eggplant tips? Watch this great video from Cooking Light. My family and I recently tried Plated, a dining service in NYC that delivers a box of ingredients and a recipe for you to make from home. We enjoyed the experience and wanted to share our final product with you! 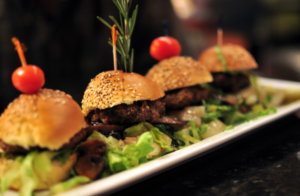 For more info on similar dining services in the NYC area click here. Preheat oven to 425°F. Mince garlic. Peel shallot and mince. Rinse basil and roughly chop leaves, discarding stems. Rinse grape tomatoes. Rinse zucchini. Using a vegetable peeler, peel into wide ribbons, or using a sharp knife, very thinly slice lengthwise. Place ribbons in a bowl of cold water and set aside. Roast Chickpeas Drain and rinse chickpeas. Pat dry with a towel. On a baking sheet, toss chickpeas with 2 tablespoons olive oil, dried oregano, salt, and pepper. Roast until crisp, about 18 minutes. While chickpeas roast, bring a large pot of water to a boil. Heat 1 tablespoon olive oil in another pan over medium heat. When oil is shimmering, add garlic, shallot, and crushed red pepper and cook until fragrant, 3 minutes. Add grape tomatoes and cook until beginning to shrivel, about 2 minutes more. For the rest of this recipe and others head on over to www.Plated.com! We love soup at my house. However, we miss it in the summer months because it’s just too hot to enjoy it. 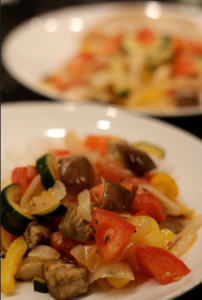 Luckily, this Summer Ratatouille recipe can be served both hot or cold, making it a great option for these warm summer months! 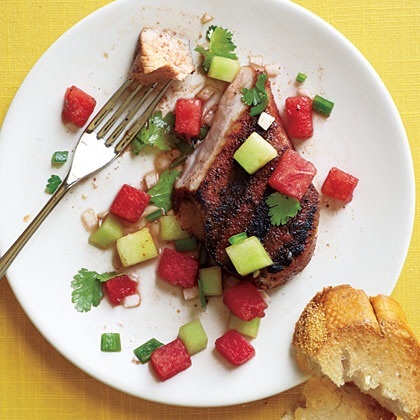 While a hotdog or hamburger in the Summer is always a classic, I found this delicious grilled pork recipe from the Global Kitchen Cookbook. This recipe is bursting with flavors like fresh parsley and lemon juice and is sure to wow your friends and family at your next BBQ! Combine 2 tbsp oil, 1/4 cup parsley, 1/3 cup cilantro, cumin, and crushed red pepper in a shallow dish. Add pork. Cover with plastic wrap and allow to marinate in the fridge for 1 hour, turning once. Sprinkle the pork with 1/2 tsp salt and black pepper. Cook pork on cooking spray-coated grill for about 8 minutes. Turn over and cook for an additional 7 minutes or until the internal temperature reaches 145˚F. Remove from heat and allow to rest for 5 minutes. Slice pork crosswise. 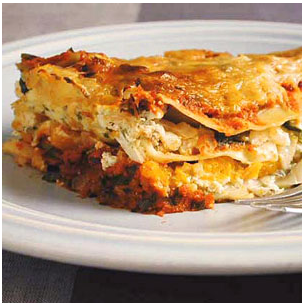 Place remaining 3/4 cup parsley, 1/3 cup cilantro, 1/4 tsp salt, oregano, and remaining ingredients in a food processor. Pulse 10 times. While the food processor is on, drizzle the remaining olive oil through the food processor’s chute. Serve Chimichurri with the pork. Go global this Summer with Cooking Light’s Global Cooking guide! I love when I think of a recipe and it tastes as good as it tasted in my mind!!! So here is my Sunday creation from last week. I had spaghetti squash on my counter and I knew I needed to use it. I love eating it like spaghetti with sauce and parmesan but I wanted it to be more – the main sustenance of the meal. So I added shrimp, tomatoes and spinach to make this quick and healthy dish of deliciousness!! I hope you enjoy too! Cut the spaghetti squash in half across the width. Steam each half of the squash; face down in about 1-2 inches of water in microwave or on the stovetop for about 5 minutes . Let cool, face up for five minutes. It should be slightly al dente. Then take a fork and scrape out the flesh so it looks like spaghetti. Put into a clean bowl. Heat 1 tablespoon of butter in a medium sauté pan over medium heat. Add the raw shrimp and flip when the bottom side becomes opaque. In the interim, use a garlic press and add the three cloves of garlic to the shrimp and butter. After flipping the shrimp, wait one minute and then add the spinach. Mix until all ingredients are combined. Add plum cherry tomatoes to sauté pan, and let cook for one minute. Mix in the spaghetti squash and let all the veggies’ juices blend together. Divide into two bowls and sprinkle with cheese. Eat mindfully and enjoy every bite!! Place the first 6 ingredients (lime juice, salt, thyme, black pepper, garlic, and Scotch bonnet/habanero peppers) in a blender. Blend until smooth. Combine the blended marinade with the fish in a zip-top plastic bag and seal. Marinate in the fridge for 2-4 hours, turning occasionally. Place remaining ingredients (from cilantro to shallot) in blender. Blend until smooth. 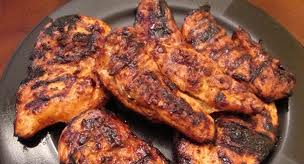 Remove fish from marinade and place on cooking-spray coated, preheated grill. Grill for 3 minutes on each side or until fish flakes when scored with a fork. Optional: serve with caper sauce and lime juice. Combine all ingredients in large bowl, mix until combined. Serve and enjoy! These recipes were adapted from Cooking Light’s Global Kitchen Cookbook. Celebrate this Memorial Day weekend with a deliciously grilled portobello mushroom cap! This recipe makes a great dish for vegetarian BBQ-ers or those looking to cut back on meat. We here at MDIO are hoping you all have a happy and healthy Memorial Day! 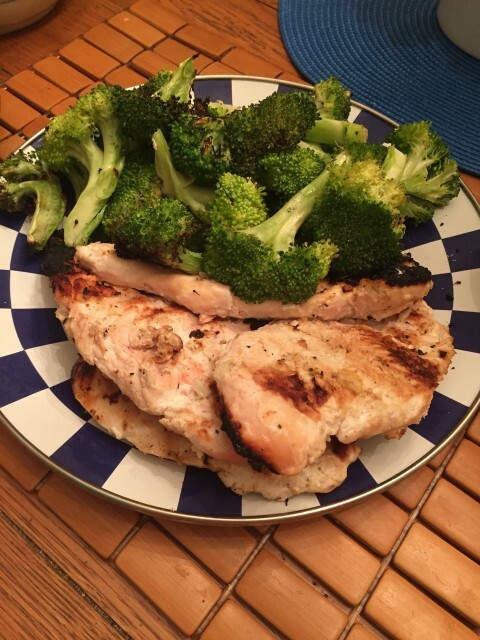 I love trying new recipes, especially if I have my family join in on the cooking with me. Not only is it a great opportunity to bond with each other, but it also allows us the chance to sit down and enjoy a tasty, homemade meal. Just last night we made this delicious pork tenderloin adapted from a recipe in Miraval’s Sweet and Savory Cooking Cookbook. 1. Heat oven to 400˚F. Lightly coat a medium saute pan with cooking spray and heat over medium-high temperature. 2. Season the pork with salt, pepper, and seasonings of choice. Add to the heated pan and sear for 1-2 minutes per side. 3. Place the pan in the oven and cook for another 3-5 minutes. Allow pork to rest for 3-4 minutes and cut into slices. 1. Heat oil in a saute pan. Add onions, apricots, garlic and ginger. Saute for 2 minutes, or until onions appear translucent. 2. Add the ketchup, vinegar, soy sauce, brown sugar, mustard, chili sauce, chipotle peppers, orange juice and beer. 3. Bring to a boil. Reduce to a simmer and allow to cook for 30 minutes, stirring occasionally. 4. Serve over top of pork tenderloin (see above). This recipe was adapted from Miraval’s Sweet and Savory Cooking Cookbook, more information on this book can be found here. We mentioned the importance of getting kids active in the kitchen in yesterday’s blog post. 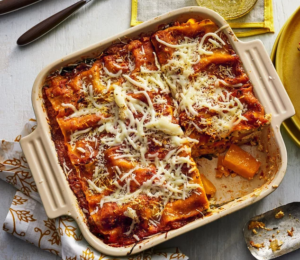 To continue with that message, we wanted to post a recipe that makes a great addition to a homemade, weekend brunch and serves as a wonderful opportunity to get your children to expand their eating and cooking horizons! Salmon is a great source of both DHA and EPA, forms of omega-3 fatty acids, which have been shown to aide in decreasing the risk of heart disease and help fight inflammation. So have the kids help with the potatoes (careful of the knife, of course!) or cracking the egg. Then enjoy a family meal all together to help further foster a positive relationship with food! Bring potatoes to a boil in small saucepan. Cook for 5-7 minutes or until potatoes are tender. Drain and allow to cool. Place salmon in a food processor and pulse until chopped. Add the egg white, salt and pepper. Process until pureed. Transfer the mixture to a mixing bowl. Mix in the potatoes, onions, oil and basil. Spoon the mixture into burger-sized patties. Set aside. Heat a skillet with canola oil over medium-high heat. Add patties and cook until brown (roughly 2 minutes per side). Transfer the cooked patties onto a parchment-lined baking sheet. Repeat until all patties are cooked. Bake the patties an additional 5-7 minutes in the oven. Recipe adapted from the Mindful Eating Miraval Cookbook. We’re all about trying new foods at Mom Dishes It Out. Our post yesterday highlighted a number of recipes from all around the world and encouraged families to try new foods. 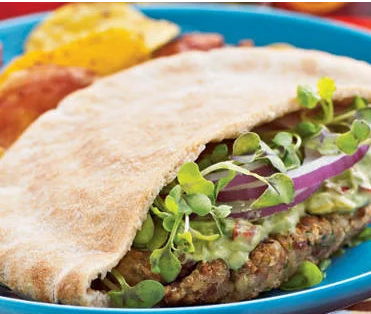 To continue this trend we wanted to share this delicious Falafel recipe from our friends at Cooking Light. 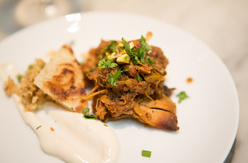 This recipe puts a Latin American twist on a Middle Eastern classic. 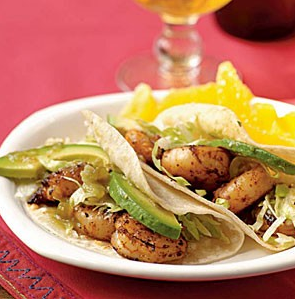 Recipe courtesy of Ann Taylor Pittman of Cooking Light. The original recipe can be found by clicking here. 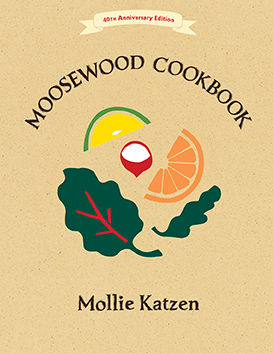 I am excited to share this recipe from one of my favorite cookbooks: the Moosewood Cookbook. It’s eggless and can be made a day in advance if needed. 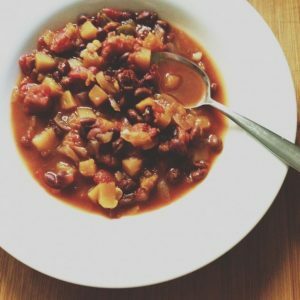 I especially love this recipe as it continues to taste great, even when served as a leftover dish! Preheat oven to 375˚F. Lightly oil a 9×13-inch baking pan. Place the bulgur in a small bowl. Add boiling water, cover with a plate or lid, and let stand for at least 15 minutes. Drain the soybeans, if necessary, and place them in a blender of food processor with 1 cup fresh water. Grind until the soybeans resemble a course batter. Transfer to a large bowl. Add the soaked bulgur and sautéed vegetables to the soybeans. Stir in the tomatoes, breaking them into bite-sized pieces. Add tomato paste, parsley, and 1 cup of feta. Mix well. Spread into the baking pan and sprinkle the remaining feta on top. Cover and bake for 30 minutes at 375˚F, then uncover and bake 15 minutes more at 350˚F. Serve hot and enjoy! Recipe sourced from the Moosewood Cookbook. I don’t know about you but I still have quite a bit of turkey leftover from Thanksgiving dinner. We’ve been eating sandwiches all weekend and wanted to try something different to use up the last of the turkey. Luckily, with a bit of recipe searching I was able to whip up a quick, and tasty, Leftover Turkey Soup. Heat 1 tablespoon olive oil in a skillet over medium-low heat and sauté onions, celery, and garlic until onion is translucent. In a large bowl, combine onion-celery-garlic mixture with wild rice, breadcrumbs, Asiago cheese, salt, oregano, thyme, paprika, cayenne pepper, and black pepper. Cool completely and then add eggs, stirring to combine. Divide mixture into 4 and shape into 1/2-inch thick patties. Heat remaining tablespoon of olive oil in a skillet over medium heat. Fry patties 2-3 minutes on each side until crisp and golden. For a vegan version, omit the Asiago cheese and replace the eggs with 2 tablespoons ground flax seeds whisked with 6 tablespoons water. Today we have a wonderful recipe that’s not only simple to make, but also super delicious! This Spinach and Leek Frittata is perfect as a main course for brunch, a tasty lunch, or a quick and easy dinner. We at MDIO love making frittatas because they’re high in protein, versatile, and they make a great base for adding extra vegetables. We hope you enjoy! Melt butter in sauté pan over medium heat. Add the leek and sauté for 4 minutes. Add the spinach and cook for 2 minutes, or until wilted. Place the mixture in a colander or on a paper towel and press to remove excess moisture. Combine the milk, oregano, salt, pepper, eggs and egg whites, stirring well. Add the leek and butter mixture. Spray a 10” pie plate or circular baking dish with canola oil spray. Pour egg mixture. Sprinkle with breadcrumbs and parmesan cheese. Bake for 25 minutes or until the center appears set. After 25 minutes, preheat the broiler. Broil frittata for 3-4 minutes or until the top is golden brown. Allow to cool. Cut into wedges and serve. This perfect version of a classic Italian meatless dinner, Parmigiana, will quickly become a family favorite. Add a glass of vino for a Sicilian style date night or a scoop of gelato for a kid-friendly Italian night. Brown rice takes about 45 minutes – 1 hour to cook so start it ahead of time. You can even prepare the rice the night before to make meal time easier. To prepare the rice, first rinse it is cold water. In a large non-stick pot, combine 2 cups of water and the rice. Bring to a boil and then reduce to a simmer with lid on. Allow it to simmer for ~1 hour. Meanwhile, season the salmon fillets with salt and pepper on both sides. On high heat, drizzle 2 teaspoons of olive oil onto a large skillet. Place 2 salmon filets into the pan with skin facing down. To create a perfect sear, do not move the salmon! Allow it to brown and create a crust. It may look like it’s stuck to the pan but once it has developed a sear, it will easily detach from the skillet. After about 4 minutes, flip the filet. Cook until salmon is opaque and repeat steps for the next two filets. Transfer to a plate and wipe skillet clean. In the same skillet, add 1 teaspoon of olive oil and minced garlic and saute over medium heat. Once garlic is fragrant, add the green beans and saute until tender, for 7-8 minutes. Add the cherry tomatoes and adjust seasonings. Cut bell peppers in half lengthwise; discard seeds and membranes. Place pepper halves, skin sides up, on a foil-lined baking sheet; flatten with hand. Broil 15 minutes or until blackened. Place in a zip-top plastic bag; seal. Let stand 10 minutes. Peel and cut into 1-inch strips. Heat 1 teaspoon oil in a large nonstick skillet over medium heat. Add 1/4 teaspoon garlic; cook 30 seconds. 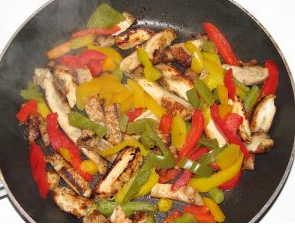 Add bell peppers and tomatoes to pan; cook 4 minutes or until tomatoes are tender, stirring occasionally. Remove from heat. Combine remaining 3/4 teaspoon garlic, vinegar, and next 5 ingredients (through black pepper) in a small bowl; stir with a whisk. Add pasta and oil mixture to bell pepper mixture in pan; toss well to coat. Cool slightly. Stir in arugula. Top each serving with cheese. 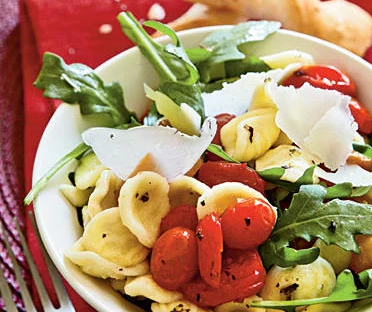 Wine note: Fresh summer vegetables come together in Orecchiette with Roasted Peppers, Arugula, and Tomatoes, making it a good candidate for a dry rosé wine. With berry and Bing cherry flavors and bright acidity, Bonterra Rosé 2008 ($14), from California, is a great example of how rosé complements the acid and fruitiness of tomatoes. 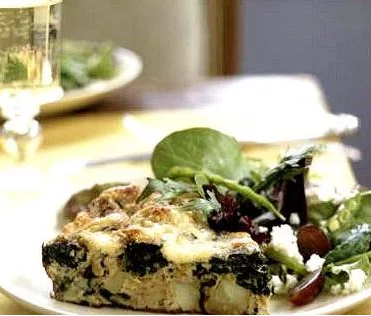 This wine also has a slightly herbal edge, reminiscent of the dish’s herbes de Provence. 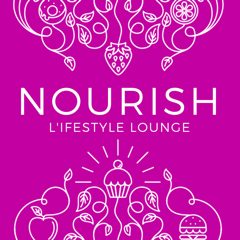 Mom Dishes It Out is excited to announce our new association with Cooking Light! Like MDIO, Cooking Light shares recipes and is focused on experiences that help build family and community. In honor of Memorial Day, fire up your grills because we’ll be sharing with you two recipes adapted from Cooking Light: Fresh Salmon Cilantro Burgersand for dessert, Grilled Peaches with with Amaretto-Pecan Caramel Sauce. And remember, follow MDIO’s tips on How to Have a Hip and Healthy “Mama-Q” BBQ! Combine granulated sugar and 1/4 cup water in a medium, heavy saucepan over medium-high heat; cook until sugar dissolves, stirring gently as needed to dissolve sugar evenly. Continue cooking 8 minutes or until golden brown (do not stir); gently tilt pan and swirl mixture to evenly brown. Remove from heat. Slowly apple juice, amaretto, and butter, stirring constantly with a long-handled wooden spoon (mixture will bubble vigorously). Cook over medium-low heat 5 minutes or until smooth. Stir in pecans. Remove from heat. Place peaches, cut sides up, on a grill rack coated with cooking spray; grill 2 minutes on each side or until tender. Serve warm with sauce. Chopped salmon may not be a traditional dish but it’s perfect for make-ahead meals! 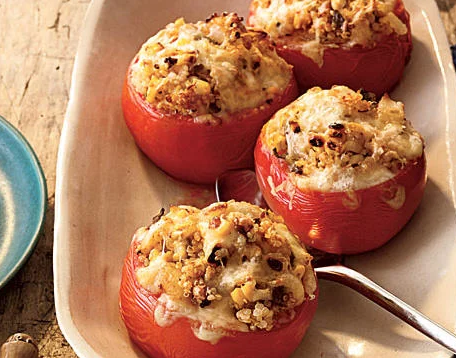 It can be a delicious meal served over grains like brown rice, rice pilaf or quinoa. Cool it down and you can toss it on a bed of greens. For a refreshing summer salad, skip the soy sauce and hot sauce–season with a drizzle of extra virgin olive oil and fresh lemon juice. – In a large bowl, combine the chopped salmon, green onions, soy sauce, hot sauce and salt. Set aside. – Heat a medium skillet over high heat with olive oil. Add the brussels and cook for 5 minutes, stirring occasionally. Add honey and allow it to cook for 2 more minutes, or until tender. – Heat a large skillet over medium-high heat with olive oil spray. Add the white onions and saute for 1-2 minutes, or until translucent. Add the salmon mixture in a single layer and cook until caramelized or opaque. – Adjust seasonings. Serve immediately over bed of shaved brussel sprouts. – Rinse the quinoa under cold water (This will help remove any bitterness and is easier if you use a sieve) In a medium pot, bring 2 cups of water to boil, add the quinoa and salt. Reduce heat to a simmer and cook for 15 minutes until water is absorbed and quinoa is tender. A helpful hint is that the quinoa is done when the white ring pops off the kernel. If there is extra liquid that the quinoa hasn’t absorbed, simply pour out some of the liquid to prevent overcooking. – Meanwhile, use a large sauté pan and heat two tablespoons of olive oil. Add the onions and saute until translucent. Add the mushrooms and season with a dash of salt, sauté for 1 minute or until slightly brown. Add the kale and cherry tomatoes and cover for about 2 minutes, stirring occasionally until wilted. Add the vegetable mixture to the quinoa in the pot. Adjust seasonings; for a little kick, add red pepper flakes. Serve warm with freshly grated Parmesan. – Preheat the oven to 450°F. Line a large baking sheet with parchment paper; set aside. – In a large bowl, mix together all ingredients until well combined. Shape into 16 balls and transfer to the prepared baking sheet. Roast until cooked through and golden brown, 15 to 17 minutes. Serve hot. 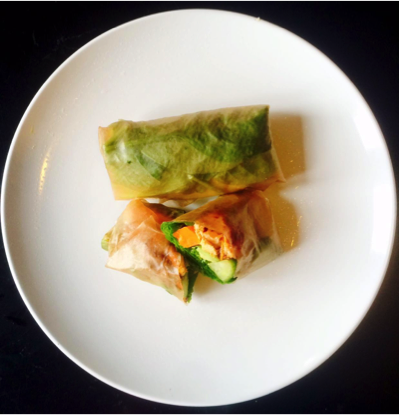 This recipe is courtesy of Candice Kumai, whom I had the pleasure of meeting a few months ago. I was given a copy of Candice’s cookbook and have been trying out recipes ever since. Two weeks ago, I tried the Kale and Fennel Caesar Salad, which was refreshing and hearty at the same time. With a lucky streak in the kitchen, I decided to try another one of Candice’s simple and delicious recipes. Salmon? —Yes, please! – Preheat the oven to 350 degrees. Line a baking sheet with foil and drizzle with olive oil. Place the salmon fillets on the baking sheet with skin side down. In a small bowl, whisk lemon juice, capers, yogurt, Worcestershire and mustard. Brush a generous amount of the yogurt mixture on the top of each fillet. Bake in the middle rack for 20 minutes, or until the salmon is opaque at the edges and still pink at the center. – Partially cook the Brussels sprouts in a large pot of boiling salted water, about 4 minutes. Drain. – Heat a large skillet over medium heat and add the pancetta. Continue to saute the sprouts for about 3 minutes. Add the garlic and saute until fragrant but not burnt, about 2 minutes. Add the Brussels sprouts to the same skillet and saute until heated through and beginning to brown, about 5 minutes. Season with salt and pepper, to taste. Add the broth and simmer until the broth reduces just enough to coat the Brussels sprouts, about 3 minutes. Serve.